Plastic surgery can seem like an invasive and overwhelming option for first time patients, and even some repeat patients. Dr. Foster explains the surgical experience in as many details as possible; informed patients are less apprehensive about the procedure and are equipped with the tools to make good decisions for themselves and their bodies. Below, he has outlined some general information about his Upper East Side plastic surgery center, serving residents of Uptown Manhattan,neighboring areas and national and international clientele. For a consultation with renowned plastic surgeon Craig Foster, please contact us today. On your first visit, you will meet with Dr. Foster to discuss what you would like to achieve through aesthetic surgery, and what you can expect from the procedure(s) he recommends. Then, you will meet with our Patient Coordinator who will answer your questions, tailor an individual plan for your surgery and recovery, and assist you with all related details. 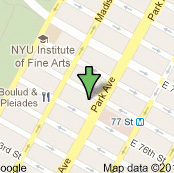 This visit will take place in our private, accredited plastic surgery center, located on the Upper East Side. On the morning of your surgery, you will be escorted to a private treatment room where you will change into a gown and slippers and meet with Dr. Foster to go over your procedure(s). Then, our anesthesiologist will once again review with you your medical history, explain the anesthesia process, and accompany you into the operating room. When your procedure is completed, you will be taken into our recovery room where Dr. Foster's team of registered nurses will monitor your vital signs and attend to your needs with warming blankets, soothing compresses, and medication for any discomfort. When you are awake and alert, you may have your family and friends visit with you. Before you leave, you will be given instructions for your post-operative care. We can also arrange for one of our specially-trained, registered nurses to attend to you for as long as you request.. For out-of-town patients, we can recommend luxury or affordable hotels nearby our Uptown plastic surgery facility. That evening, our anesthesiologist will call you to make certain you are resting comfortably. During your recovery period, our medical staff is available 24 hours a day to answer questions and respond to your needs. If you would be interested in scheduling a plastic surgery consultation with Dr. Foster, please contact our Uptown practice, serving Manhattan and surrounding areas.